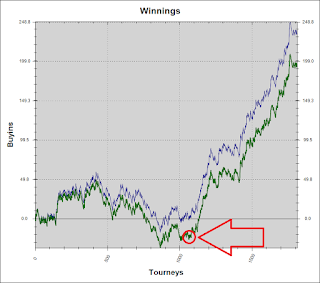 James Atkin's Poker Blog SNGs Week 4 review - "Confidence Boost"
I only put in a low volume week this week in SNGs, which was a result of me dabbling in the TCOOP, and taking a bit of time off to help my wife out who is now very heavily pregnant. 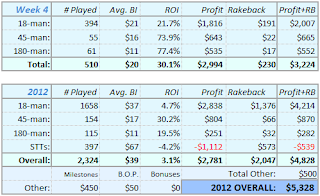 I had some positive TCOOP results, which I will write about in my next blog post where I am going to review how MTTs went for me in January. After what feels like months and months of running bad, I am currently running really good. 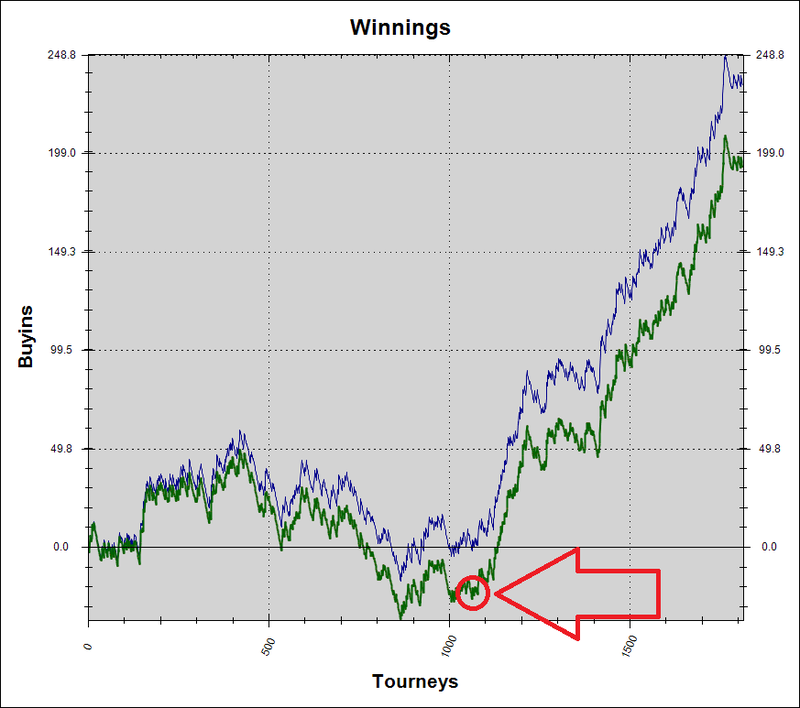 Dropping down in stakes, forgetting about SNE and avoiding STTs has worked out really well for me so far. Although we're dealing with small samples here, this graph still paints a telling before/after picture (I quit SNE, STTs and $60+ 18-mans somwhere in the red circle). Although I'm running above expectation over my last 1000 games, it is definitely the confidence booster I needed. I was feeling pretty miserable about poker and questioning myself as a poker player over the last few months, but this has been a catalyst to regaining my confidence, which I think is important as I believe you tend to play better when playing confidently. 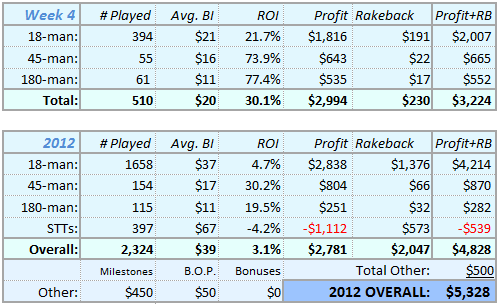 It's a shame that results are the only tangible gauge that we have to measure how we are playing in poker. Results are riddled with variance, and therefore provide unreliable data over the short, medium and occasionally even the long term. I think it is so difficult not to be affected by results, but the consequence is your mind-set is going to be hugely affected by variance. 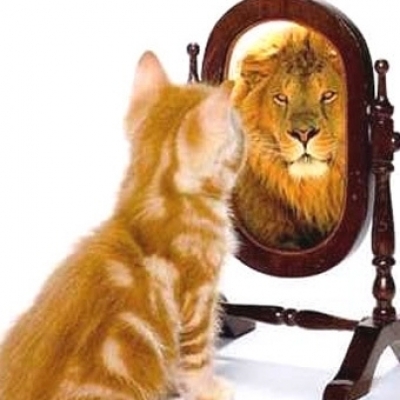 0 Comment to "Week 4 review - "Confidence Boost""